If you want something done - give it to the Goose. Persevering, dogged, and ambitious to a fault, the Goose sets goals for accomplishment, and always obtains them. The goose is determined to succeed at all cost - not for the approval of other - but those with this Native American animal symbol competes with his/her own internal foe. Driven is the watchword for the Goose's dominating personality trait - which makes them excellent in business and competitive sports. When tempered with supportive, nurturing family and friends, the Goose excels in all things he/she attempts. 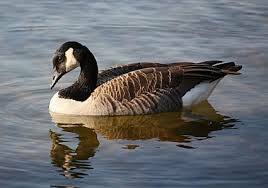 In a loving environment the Goose can be very passionate, humorous, gregarious, and even sensual. However, lead to his/her own devises, the Goose may fall into obsessive or addictive behaviors that will inevitably be his/her demise.